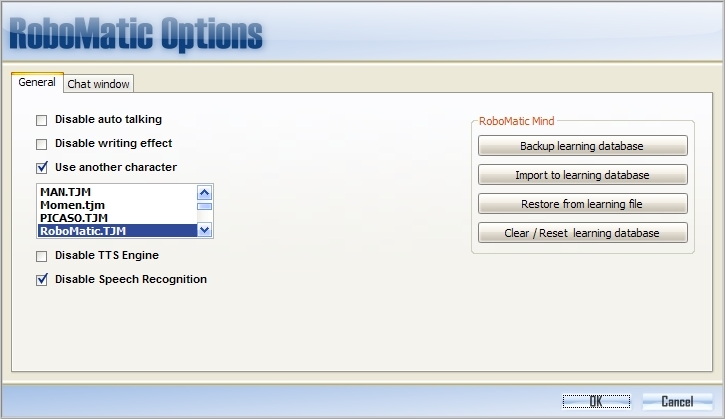 - Advanced engine (AI Base Control) to make RoboMatic understands. - Teach RoboMatic when he don't know the answer. 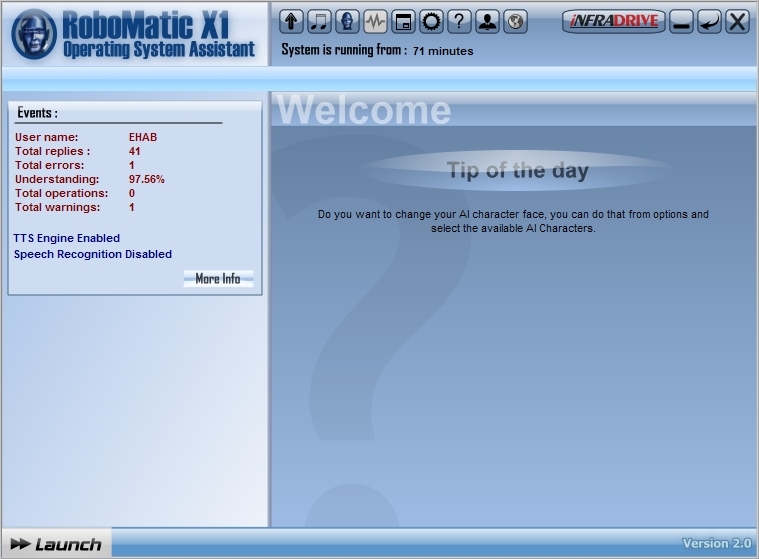 - To get full help, open RoboMatic Help. 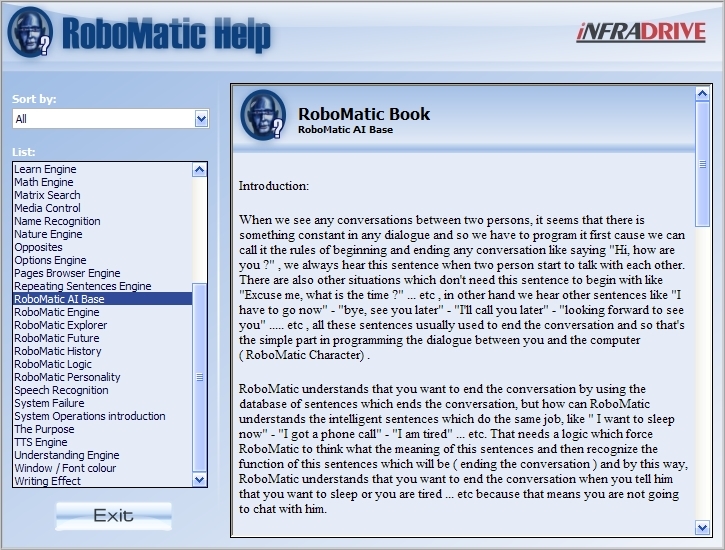 - For fans, you can open RoboMatic Book to learn more. "the most promising in its class"
Why we named it "Operating System Assistant"? 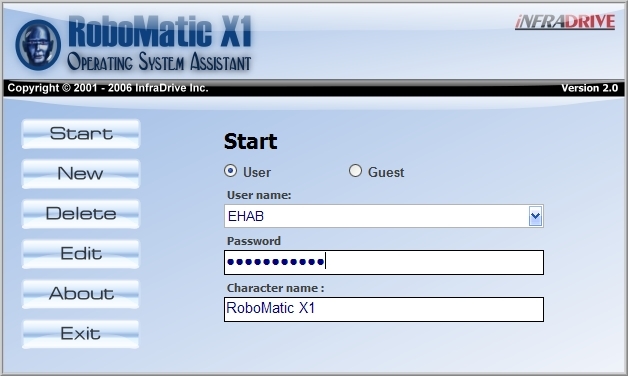 We named RoboMatic X1 with this name as it's programmed to be a friendly character that helps you in doing a lot of Windows XP operations like browsing, copying and moving files, shutdown, restart, hibernate, managing your recycle bin, and more than 100 other functions. All of that can be performed by your voice. - 1.6GHz Pentium 4 CPU or equivalent. 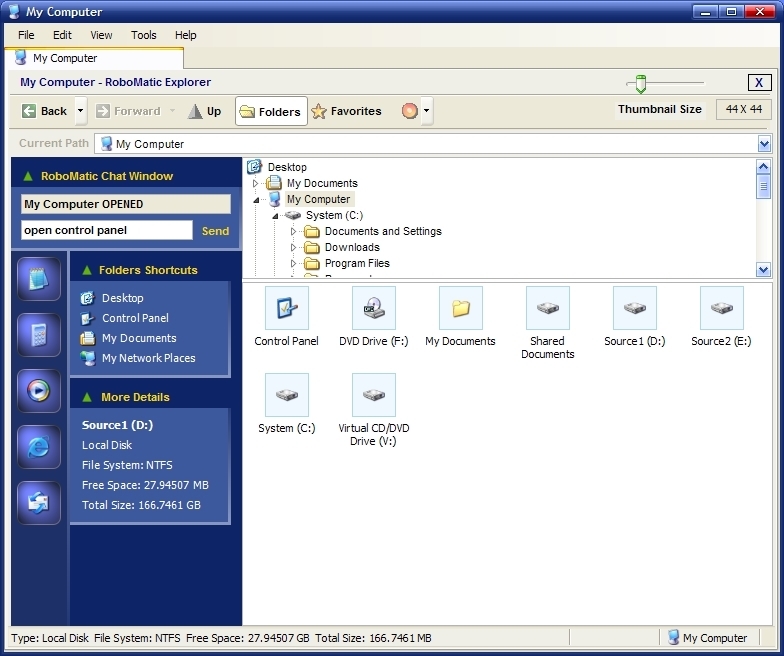 - 50MB free disk space. - Microphone, for speech recognition (Optional). 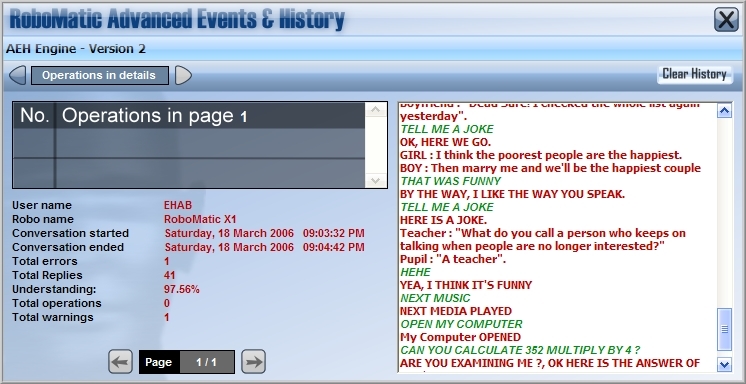 - Speakers for Text To Speach (Optional). - Microsoft Text To Speech (Included, Optional). 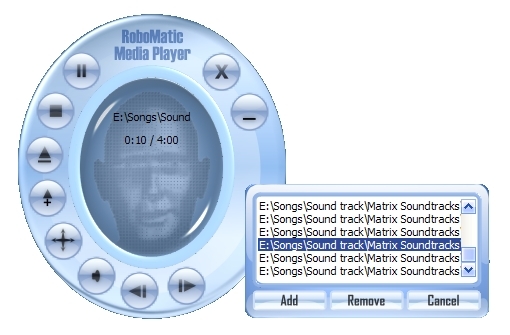 - Recent Version of Windows Media Player (Optional). If you found any errors, bugs or you have any ideas or opinions, please contact us at: support@infradrive.com, or you can post it on our online community forum through RoboMatic X1 Bugs & Problems thread. 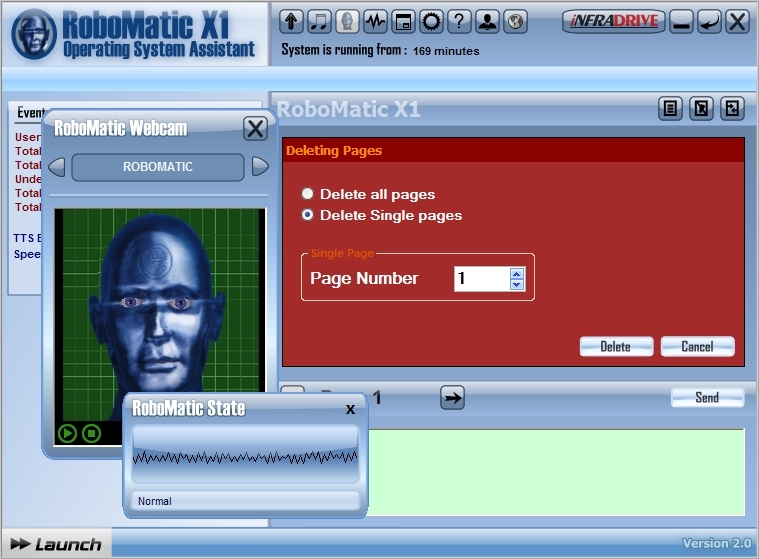 RoboMatic is shareware, you can download a limited features copy from our downloads page.